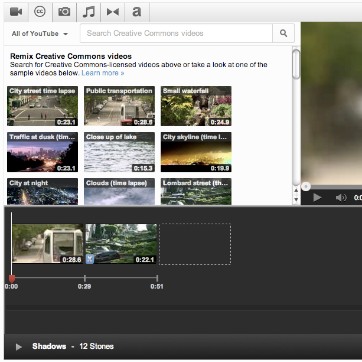 Because of some of the challenges of editing video on the desktop, it may be a good idea to try an online video editor. Two options are YouTube and Video Toolbox. YouTube Video Editor allows you to take videos that you have uploaded, as well as other videos and audio that have been uploaded under an open licence, and edit them in a simple editor in your internet browser. The features are limited, but the service is stable enough to use for short videos. Video Toolbox is a free service which provides a limited amount of space for uploading, storing, downloading and converting videos. You can download videos from many different video sharing websites. 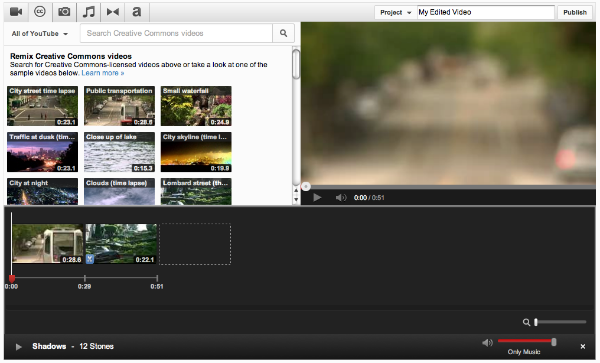 You can then trim these different clips and combine them in a different order to create a new video.